Every week, the AT&T Chief Security Office produces a set of videos with helpful information and news commentary for InfoSec practitioners and researchers. I really enjoy them, and penned a blog on a segment on the impact the banning of smartphones in some secure federal facilities a few weeks ago. Matt Keyser, Principle Technology Security, AT&T typically leads the discussion with a couple of guests for commentary. 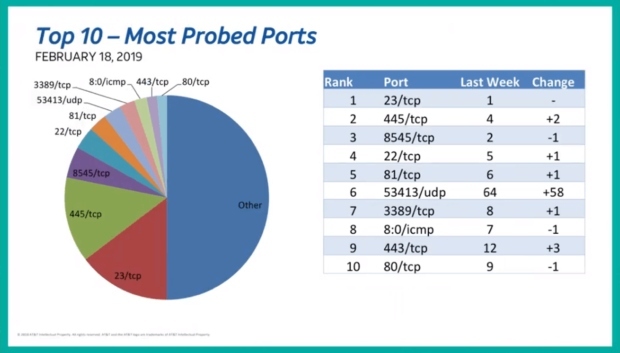 He covers the most probed ports and the most sources probing, ranking them and comparing them with the previous week. Then he dives into the interesting stories. 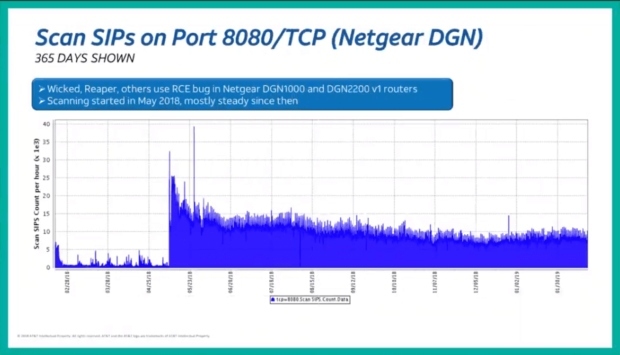 For example, on the 2/21 episode, Matt drilled into the scans on port 8080, which looks to be exploiting a common bug in a couple of Netgear routers. It’s a great resource for InfoSec practitioners and researchers alike! John Hogoboom. Lead - Technology Security, Security Platforms, and Stan Nurilov, Lead Member Of Technical Staff, Security Platforms, also present the Internet Weather in other episodes. To subscribe to watch the Internet Weather Report each week and other features, subscribe to the AT&T Tech Channel.